I was searching the web and found some useful information at the module. So you've got your 5/3.3V jumper which is only for the VCC of your Atmega. The SX1276 always gets 3.3V. There is an 5V power line and an 3.3V power line and the battery power line (VBAT). When you power your module with an battery there is an LDO (Low Dropout Regulator) Datasheet: here. It's an ME6211 which looks like your typical China made LDO. The typical standby current is only 0.1μA. 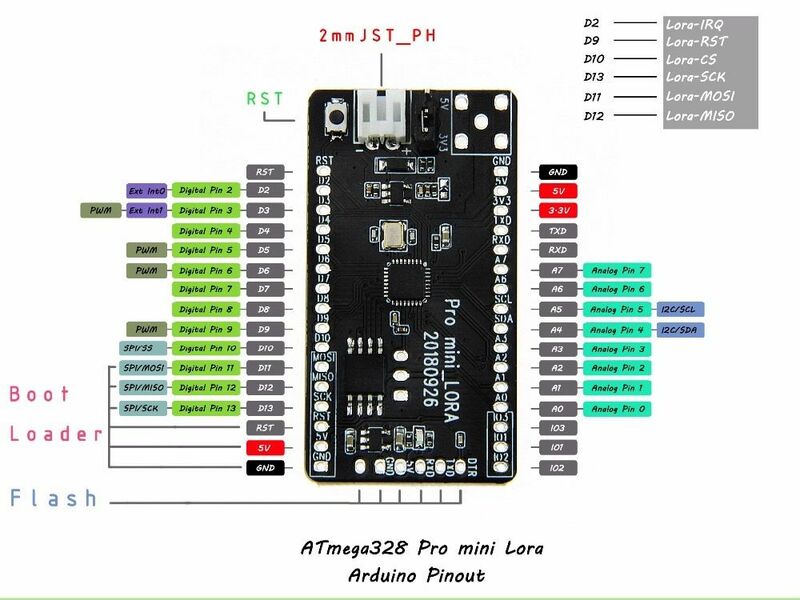 You can get the Datasheet for the Atmega328 here: click! What you can do is, desolder the blue LED (who needs that LED anyway?). And connect your CHRG-Output of your TP4054 to one unused Digital-I/O port. This way you can monitor the charger. The charging resistor from your TP4054 is 2kOhms, this results in 0.5A charging current. So be sure not to charge a small lithium ion battery like a 100mAh-Battery. There is an Winbond 32M-Bit SPI Flash on board. 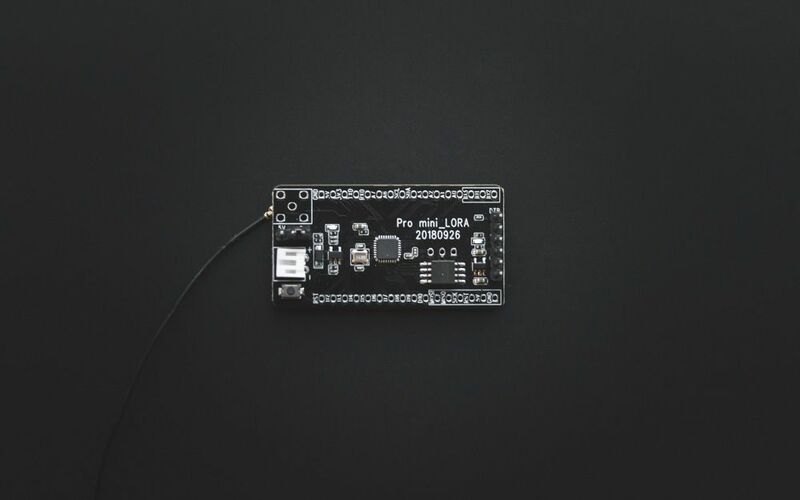 You can use the flash module for saving sensor data every minute or so and then send the messages via LoRa-Wan to the cloud or something like that. I've not tried it yet... but it looks cool. And of course there are some ready to go libraries out there. To flash the module you need a USB-TO-UART converter like the CP2102 (Aliexpress link at the bottom) which you can get for about 1$ inclusive shipping at aliexpress. If you use platform.io be sure to put those settings in your platformio.ini. Of course the upload and monitor speed settings are up to you. You can use the board with the 5V connector from your uart-converter. With 3.3V it won't work, even if you put the jumper in 3.3V mode. For flashing I put the jumper at the 5V position and it works fine. When I connect an battery, for example an lithium ion battery. I put the jumper in the 3.3V position and had no problems so far. Remember to connect the RXD to TXD and TXD to RXD. The atmega communicates with the lora module over SPI. With SPI you can read and write to registers on the SX1276 and not just communicate on a higher level with serial data. 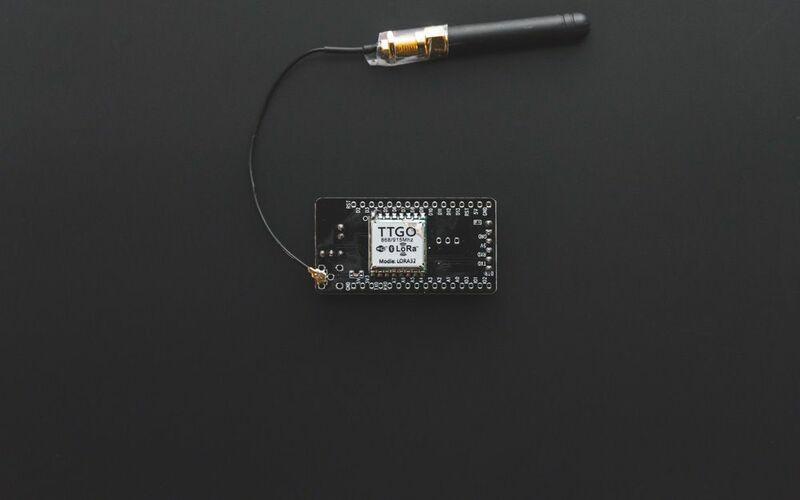 Luckily someone already made a library for that, and also not for the higher level communication like the ones you can download at thethingsnetwork.org, but exactly for the SPI-Communication. 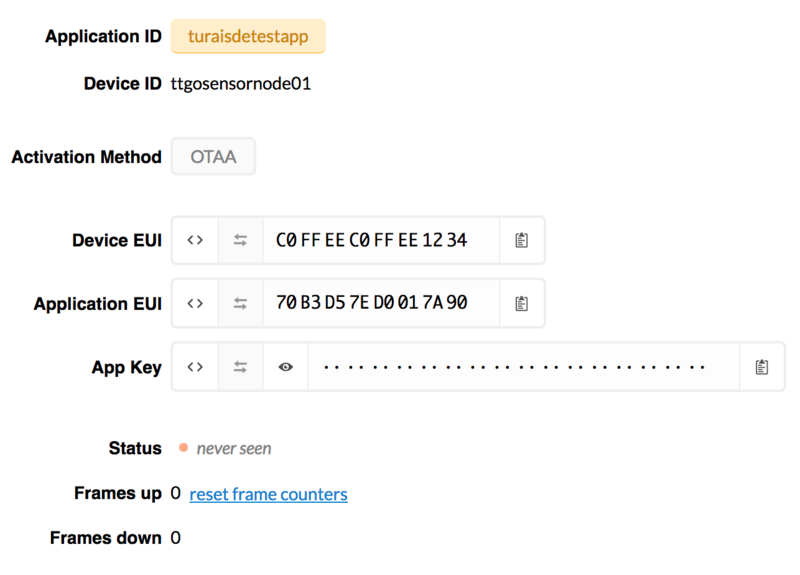 So back to my little LoRa-Adventure: To get the OTAA-Example of the library working, I had to change the example a little bit. And I only had one module, and no access point right in my vicinity. So my first test was disappointing. I got out of my appartment and went to a little hill. From there I could see the tower of the computer science department where they have an access point for the thethingsnetwork. And then ... nothing. With no debug output or something I just did not know what went wrong. So I went back and ordered some more modules at aliexpress. So future me can create his own little LoRa-WAN access point for the thethingsnetwork.org. And then ... well items from China to Germany take around two to four weeks until they arrive. So one evening night I went out with a friend of mine, gear packed and we started a little coding session at the university. There it was the receiver almost in plain sight, so I knew packages will definitely arrive. so the MAX_CLOCK_ERROR represents 100% of the LMIC.clockError, and when we set the clock error to 1% it works. And then it worked. My first message received was: 48 65 6C 6C 6F. H E L L O. 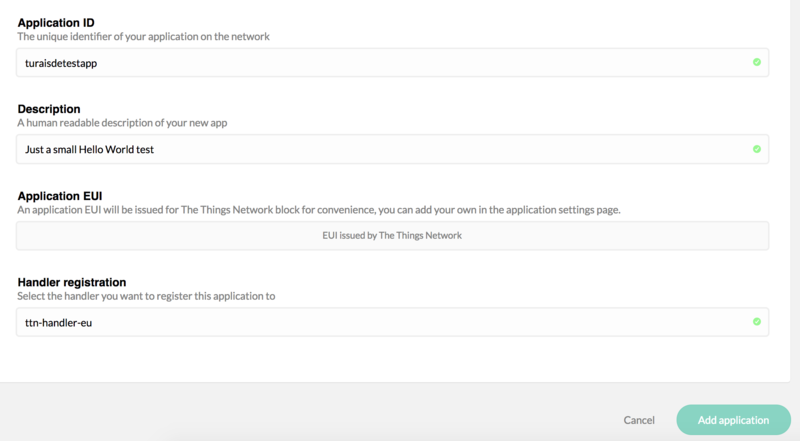 Before you just copy and paste the code, the thing you need is an thethingsnetwork.org account. Then go to: Consele - Applications, and on the right: add new application. Then just follow the steps. Then when the device is ready, you'll see the DEV EUI. You need to convert the Device EUI and the Application EUI to little endian. Choose MSB for the App Key. To receive data, you need to be in range of an TTN-Gateway. Goto your project and then in the data-tab, the data will pop up. And you're done. Of course you could now setup an integration service, which will save your data in a database, or will push it to your server.